Here's the situation. You're driving from San Francisco to Santa Cruz, CA, and you've gotten stuck in traffic and are starting to get SERIOUSLY hungry along the way. Do you wait til Santa Cruz and risk binge-eating all the artisan ice cream and bakeries in town because you're so hungry? No. You pause, pull your car over in Los Gatos ("the cats"! ), and stop your sweet self at Icing on the Cake. Not only is Icing on the Cake a fantastic name for a bakery, it's also a fantastic bakery. It had crossed my radar several years ago when the staff was smart and savvy enough to begin stocking my products for their small retail area. Obviously, this meant that they were smart and wonderful people. True appreciators of sweetness. But I had never actually tasted the sweets in person until I found myself in the situation detailed above. When I got to the bakery, I introduced myself and had a short chat with Lynn, of whom I asked a big question: "what should I take with me?". This led to a brief consultation about what my sweets preferences were. Well, I said, I tend to like buttery, rich things--not so much fruit stuff--and I would probably veer more toward caramel, peanut butter, etc, rather than chocolate (I love chocolate, but I like it as a component, not as the whole story, in general). "Oh," she said wisely, "you're one of those people who only eats beige things." Now, I will confess, this took me aback for a moment. I love color! Rainbows! Unicorns! Pink frosting! But then, the more I thought about it, the more I realized she was right. I prefer blondies to brownies; I love shortbread, all the better if topped or sandwiched with caramel; one of my favorite-favorite foods, in the world, crumb cake, is really just several shades of beige. So it's true: I'm a beige lover! 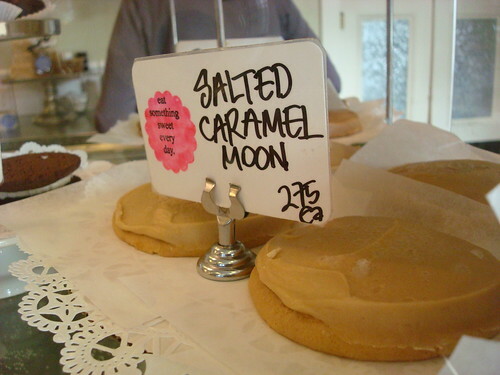 First, the softie Salted Caramel cookie ("Salted Caramel Moon"). 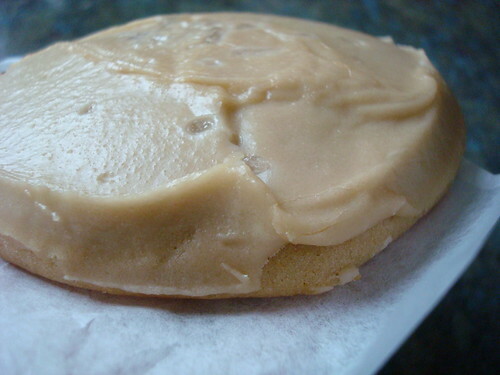 If you like soft sugar cookies, this will be a real treat for you: a soft, rich, lightly crumbly cookie, but instead of the sugary-sweet frosting, this has a caramelly kick with a salty aftertaste. It works wonderfully with the cookie base; it's a little different, but not crazy--like, I could share this with my grandma, whereas she'd say "say WHAT?" 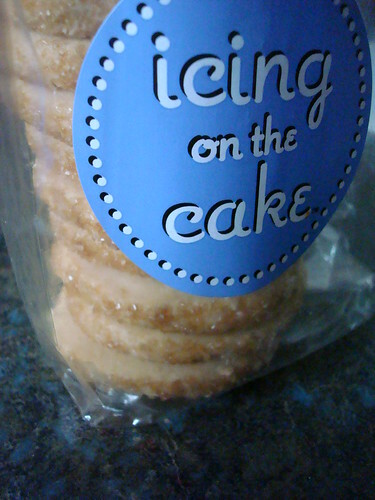 to salted licorice flavored baked goods. Next up, the gingernsap. 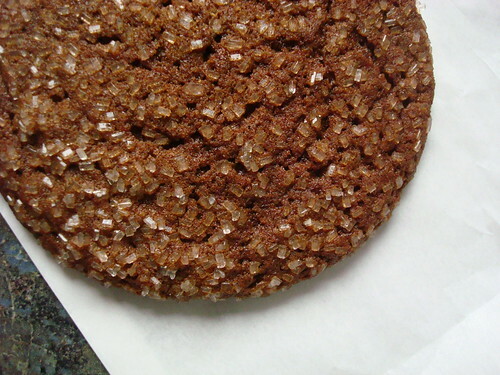 This one is crispy, which is usually not what I crave in a cookie (softie for life!) but this one was quite nice. It had quite a spicy zip--as Lynn advised, pair this one with tea and it will give you a little heat for a cold afternoon. Nice. Next up: the brown sugar shortbread cookies. Shortbread is one of those things that is so simple, but has the potential to be so exquisite, and at Icing on the Cake, it falls into the latter territory. The small additions of brown sugar and crunchy sugar around the sides of the cookies make a big difference, and take them from "good" to "great" shortbread territory. Very worth a try. 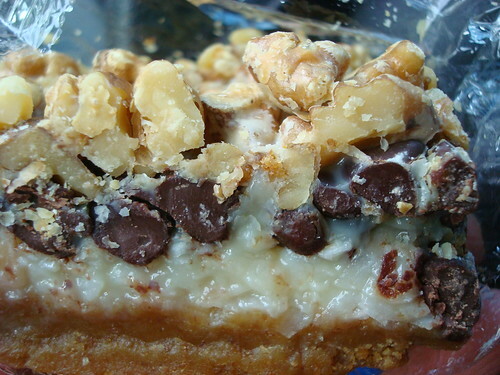 The most colorful treat--or at least the one with the most different tones--was their seven layer bar. This is probably one of my favorite treats in the world (well, aside from super-beige crumb cake) and theirs was a fine specimen. 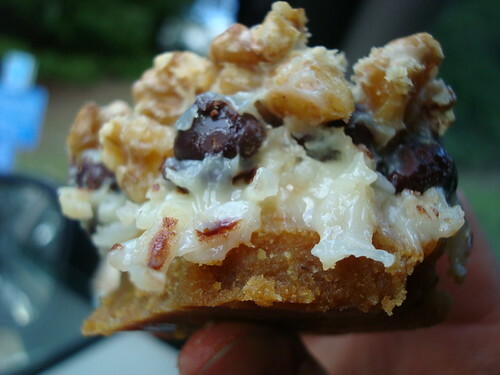 Crunchy and buttery on the bottom crust layer, soft and gooey in the midsection, so decadent and rich that you'd lose yourself in that sticky sea of delicious coconut if it weren't for the punctuations of crunchy nut and pockets of rich chocolate morsels. Please, promise me you'll get one when you visit. 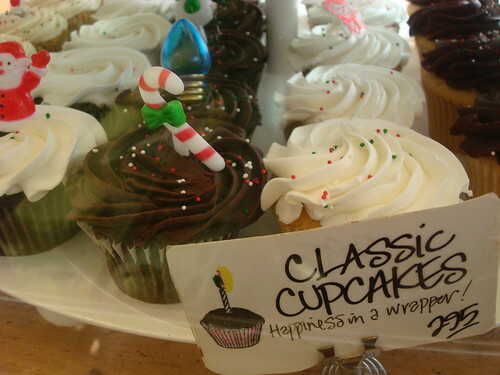 Of course, Icing on the Cake has a ton more: cupcakes, layer cakes, bars and quick breads and cookies of all sorts--the bakery case is very well appointed and tempting. Final word: GO TO THIS PLACE. I promise you won't regret it. 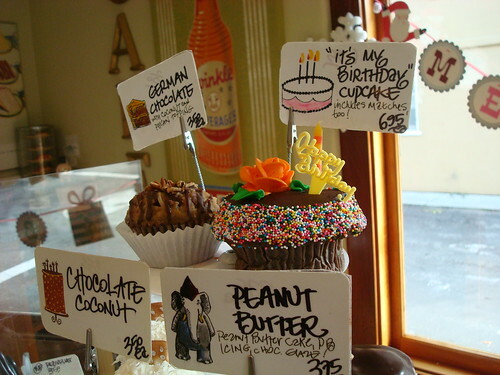 Icing on the Cake, 50 W. Main Street, Los Gatos, CA; online here.